DIY Magic Girl Ladies Hair French Braider Styler Care Braiding Styling Tool Set (Black) - Luxury Beauty Care Products ! The hair braider can braid perfect of any hair type,such as straight,curly,thick or fine. It can create a French Braid is easy as lacing up a boot. 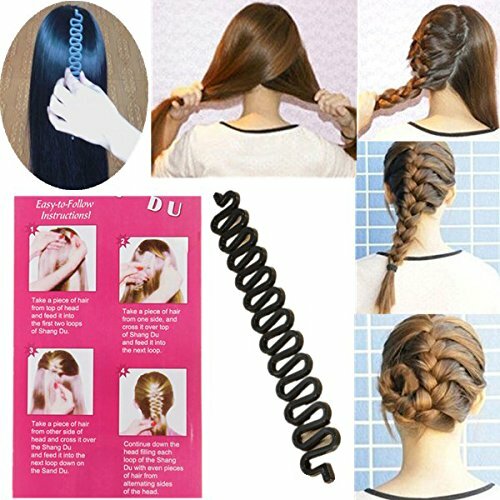 Now anyone can make a professional looking French Braid in no time,with this easy to use braiding tool. Easy to make a beautiful hair.